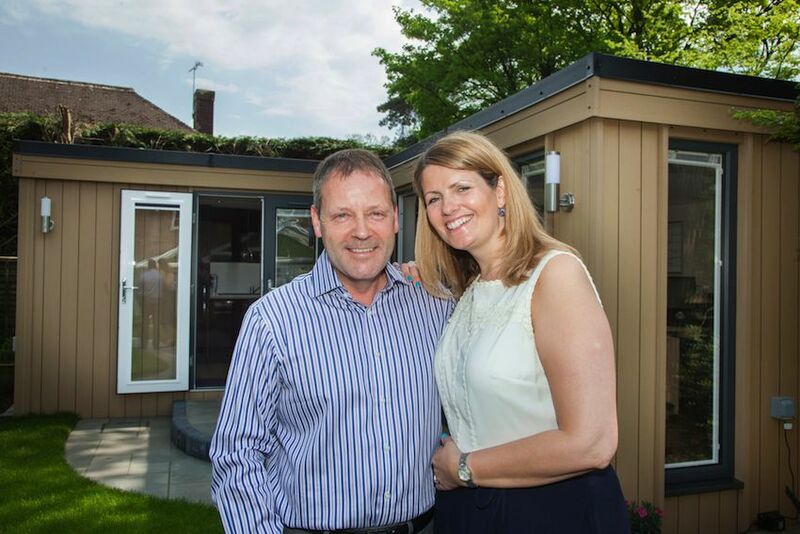 Julian and Kerry Lee have swapped their previous base on an industrial estate for the purpose-built Large Garden Office on the Wirral, Cheshire, and are set to recruit more staff. The new building was made in the UK by Rubicon Garden Rooms - founder John Lyon was inspired by his 20 years as an engineer at Airbus to develop a zero-maintenance wood fibre composite material. Rubicon’s bespoke top-of-the-range units are now used for everything from Garden Offices to Craft Studios or Music Rooms, Yoga Studios, Teenage Dens and Granny Annexes for dependent relatives. Julian and Kerry who run Property Search Group are delighted with their new premises, which include fully integrated broadband and phone networks wired in to the framework, a security system, heating, sound proofing, insulation and top of the range lighting systems – all controlled at the touch of a button. The new fully insulated Garden Office, which took just three weeks to construct, has required sympathetic landscaping works to the garden of Julian and Kerry’s home. New paving and lighting gives independent access to the office, where they carry out residential and commercial property searches for legal firms across the Wirral Cheshire, Merseyside and North Wales. The expansion also allows them to add another member of staff to the company and they plan to take on a new member of the team in the coming weeks, meaning all five desks will be full. Julian said: “We set up the business, which is part of the Property Search Group, in 2001 and we’ve been through some ups and downs since then with the recession. Rubicon Managing Director John Lyon said: “We are seeing an increasing interest in our products as Garden Offices. More and more, business people are realising the benefits of working from their garden, saving time on their commute and giving them a better work-life balance. “With service companies such as Property Search Group, technology means they can be based almost anywhere and it makes commercial sense for a firm to invest in a their own building, rather than renting. Julian is originally from Blackpool but came to Cheshire working as a financial advisor. Kerry moved from Manchester to work in banking, and has worked alongside her husband since they launched the company. The couple, who have one teenage son, say they have established a harmonious working relationship. 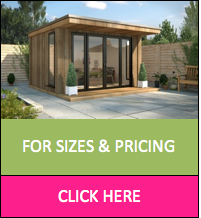 Once they had made the decision to build their own luxury Garden Office, they did a lot of research and asked for quotations from a number of companies. “The prices were all very similar,” said Julian. “But what we liked about Rubicon was the fact that they were local and we could go and see their factory in Deeside and the examples they had on show. It is a decision the couple have not regretted as the whole process took just five weeks to design and then three weeks to build, and the result is a triumph. The L-shaped structure, which is just under is 30 square metres, incorporates a kitchen along with toilet facilities as well as the large open plan office. “The idea was that the L-shape would have less impact on the surroundings and I think it does. We went to Rubicon with the idea and design and they basically delivered exactly what we wanted. “Most of the structure is prefabricated at Rubicon’s base and then they come and slot it together on site. They were great to work with – they were all very competent and everything I asked of John, he delivered.